Roulette tournaments take this centuries-old casino game and transform it into a multi-round knockout event where the last player standing gets the chocolates. As we play against other gamblers rather than trying to beat the house, this format requires us to pay extra special attention to strategy and betting patterns. 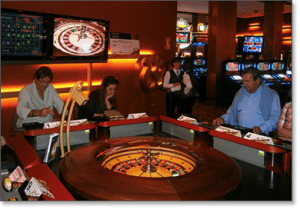 Let us show you how roulette tourneys work and what you need to know in order to be competitive with this kind of casino gaming. 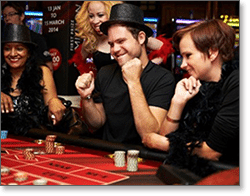 Roulette tournaments are organised events where players compete against one another in a knockout format. In this sense, it is much like any other multi-player sporting or gambling competition in which contestants are eliminated round by round. However, the fact roulette is normally played against the casino means it is more akin to a blackjack tournament than anything else. As with any tourney, the aim is to survive each round in order to progress to the next. Unlike a standard sit-and-go poker tournament, where players are eliminated once they lose all their chips, in roulette events the winners of each round are determined by who has the biggest stack after a certain amount of time has elapsed or a certain number of spins has been played. Eventually the field will be whittled down to one table of between two and eight players, from which the eventual champion will emerge. 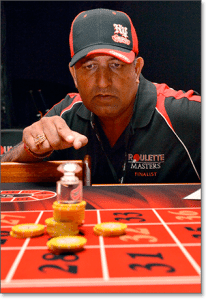 Australian roulette tournaments can come in a variety of formats, determined by the number of entrants, the amount of the buy in, and which land-based casino it is held in. High stakes roulette events can draw prize pools valued at hundreds of thousands of dollars. In a common brick-and-mortar tournament setup, all entrants are required to pay a buy-in (sometimes alongside an additional entry fee). The higher the stakes, the bigger the buy-in. In the vast majority of casino roulette tourneys, all players start with the same amount of chips. This is often the case at the beginning of each new round as well. For example: one player might win their table with 500 chips and another winner might finish with 740, but in the next bracket they would both start with 300 credits. However, sometimes players are allowed to carry their total stack into the next round – so if you win a round with 740 chips, you start the next table with that amount. The number of tables used at the beginning of the tourney depends on the number of players involved, as well as the overall format of the event. For instance, if there are 42 entrants, a typical multi-table tournament might use six tables with seven players per table; however, a head-to-head roulette tourney with 16 participants would have eight layouts with two players going one-on-one at each table. These parameters will often be predetermined, with a set amount of tables decided beforehand and a limited number of positions available. The rules of progression are widely variable and often depend on the size of the field and the nature of the event. In many devil’s wheel tournaments, all but one player (the one with the most chips) will be eliminated from each table at the end of each round, but sometimes two or three players from each table will continue on. How those progressing players are then grouped is up to the whims of the organisers, really. Sometimes tables are merged at random, while in other cases (head-to-head roulette, for instance) there is a bracket system that determines who meets who in the next round – much like the draw in a major tennis tournament. When it comes to actually playing the game, there is not a jot of difference compared to a standard player-versus-casino affair. Whether it is double-zero American roulette, European roulette, French roulette, or even if you are playing semi-automated versions like Rapid Roulette – all the rules of play and betting options are the same as they ever were. This includes minimum and maximum bets per spin, be it $5/$100 or $50/$1,000. Payout structures vary from tourney to tourney. There can be prizes for everyone who makes the final table, or even small rewards for each player who progresses from every round. Sometimes the grand champion will take home the entirety of the cash prize pool. The most common scenario is a tiered payout scale, where first place gets the largest prize and the final paying spot receives the smallest. Roulette players love betting strategies – from grinding on the even money wagers, to pressing one’s luck on a straight-up winner. But where a seasoned casino punter might stick to one favourite system, a successful tournament gambler needs to be adept at a number of different approaches. This is because competitive play throws up myriad risk-versus-reward situations where a sudden change in tactics can make or break a man’s title bid. One of the keys in working out your ideal tournament strategy is knowing what kind of player you are. Do you like to use the inside layout and place a lot of high-risk, high-reward bets? Or are you a more meticulous player who enjoys long sessions in search of modest but steady profits? Perhaps you like to tread the middle ground, mixing up inside bets and outside wagers simultaneously or in sequence? Figuring out what type of roulette bettor you are is hugely important when it comes to identifying the style of tournament you should be aiming to enter. One thing to look out for in tourney setup is whether the rounds are based on time or number of spins. Timed rounds generally allow for greater betting flexibility, as we can play however many spins we want within the allotted period – so if we hit a huge winner after three spins, we can choose to stop there and keep an eye on our competitors while waiting for the buzzer. Rounds with spin limits, however, tend to restrict one’s options and encourage a more aggressive, all-or-nothing attitude. Whether governed by time or by spin requirements, tournaments with longer rounds are generally more attractive to conservative bettors who like to grind on red and black, evens and odds, and other outside bets whenever possible. On the other hand, shorter rounds suit the more swashbuckling kind of gambler who is happy to ransom his or her stack on low-percentage wagers with big payouts. The most important strategic point is to be aware of your opponents’ chip tallies at all times, and to tailor your method of play based on where you stand in the pack. This is where knowing a variety of betting styles and being able to use them instinctively becomes crucial. For example: if you are an aggressive gambler and you get out to a big lead early in the round, you might want to rein in your natural instincts and start betting smaller sums on the outside in order to protect your lead. Should someone else then take the advantage, you could then loosen up your play in search of bigger rewards. Flexibility and vigilance are vital, as you need to be able to switch gears when the moment arises. This is where old-school grinders often trip up, as they tend to focus on very particular betting patterns with no room for improvisation. Thus, it always helps to practice a number of different betting techniques before trying your hand at tournament play. There are plenty of attributes that make up a roulette champion – knowledge of different betting patterns, gut instinct for tactical shifts, experience in live tournament gambling, sound decision-making skills under pressure, and so on. All these traits are important, and most hi-stakes roulette tourney winners possess them. But there is one thing you need more than anything else, and it is something that cannot be taught or learned (unfortunately). That thing is luck. You need to win plenty of spins to triumph in a live roulette tournament – because no matter how well prepared you are or how many different roulette strategies you have mastered, there is not much to be done if your numbers don’t come up. Strategy and nerve can only get you so far in a game of pure chance, after all. But if you have the gift of good fortune, then knowing how and when to change your bets and switch between tight and loose play can transform mere luck into cold, hard cash. Real-time roulette tournaments are not as widespread as those dedicated to SNG poker or blackjack, but leading Australian gaming venues such as The Star in Sydney and Crown Casino in Melbourne have been known to hold ‘little wheel’ events in recent years. For more on where to find a roulette tourney near you, check out our complete list of land-based Australian casinos.